The other day, I was changing into my gym clothes to go workout after my 15 hour shift at the hospital. There are several reasons why my co-resident feels this way. Perhaps you work 60, 80, maybe 100 hours a week. How many obligations do you have outside of work? What about kids? How many do you have to take care of? These commitments make it extremely difficult for you to take time out for yourself, let alone go to a gym to exercise. Statistics show that up to 67% of all gym memberships go unused. If you are in this boat, then its clear that you want to improve your fitness, but you can’t find a way to actually stick with it. Or maybe you really want to go to the gym but your too shy or embarrassed to go consistently. What if I told you that you can improve your fitness, burn fat and tone your muscles without ever having to go to the gym. You get a gym membership and you begin working out several times a week. But one day, you get home late and the last thing you feel like doing is heading to the gym. You skip the workout and decide you will go again tomorrow. Later that week, the same thing happens. You skip a workout or two. Before you know it, you lose motivation and go to the gym once or twice a month. Needless to say, this will not get you results. Do you want to know what the best-kept secret in the fitness industry is? Under the right circumstances, consistency is the only thing that matters in fitness. What this means is that all you have to do is stick to a proven workout regimen and you will get results. You need to find a workout that you can stick to. A routine that is easy to follow, and does not require a gym. My wife Brittany and I are both OBGYN resident physicians working 80+ hours a week. 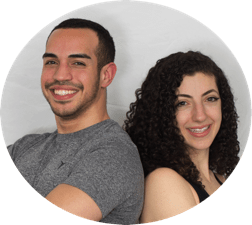 We are both extremely passionate about fitness and spend a great deal of time learning and implementing many different workout strategies to determine what works and what doesn’t. Currently, we work out 4-5 times a week and have both experienced significant improvement in our fitness, even as residents. We are the first people to understand that going to a gym can be tough. Traveling to and from the gym can be expensive. And most of all, time wasted on inconsistent workouts are expensive. So if you cannot go to a gym, that’s ok. Sometimes, leaving your house to go to the gym is too much of a burden. The more of a burden your workout is, the less likely you will be to stick with it. But if you had everything you needed to do a comprehensive workout in your house, would you be more likely to stick with it? You already have (just about) everything you need to develop a comprehensive exercise program. Brittany and I have been using bodyweight exercises (along with gym workouts) to develop strong physiques that we maintain all year round. (Not just for the summer, or the beach). Whenever the gym is closed, or we are on vacation, we know that we can still get a complete workout in. You see, the beauty of bodyweight training is that it can be done anytime, anywhere, including your own home. 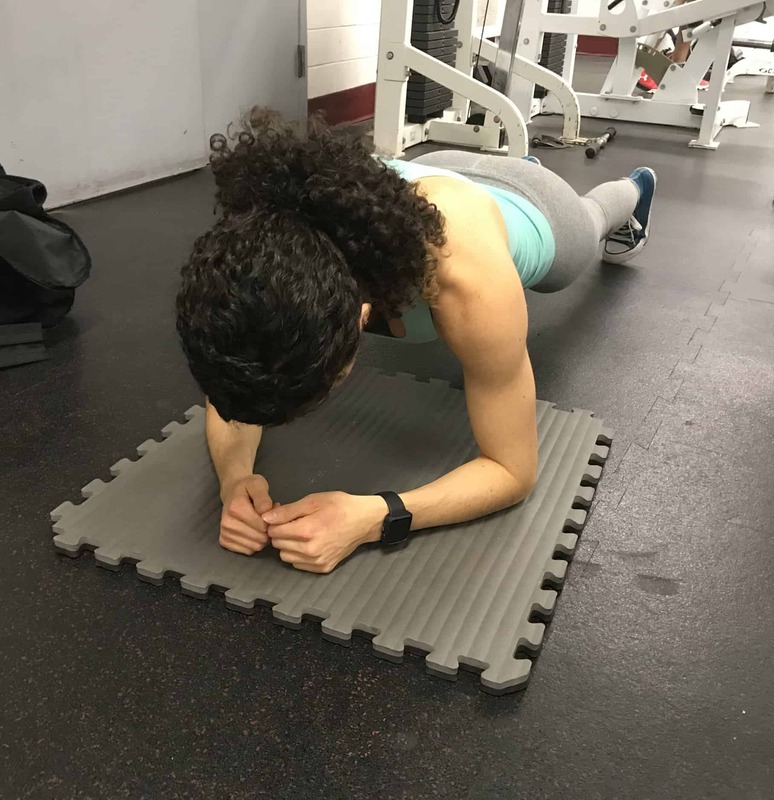 By using bodyweight exercises in our training, we have been able to increase our relative upper body strength, decrease our body fat percentages and improve our overall fitness. Fitness doesn’t always have to be serious business. Challenge accepted @massy.arias juntos somos imparable. #machallenge #husbandandwife #fitcouple #goals #marriage #fitwife #couples #balance #fitness #gym #exercise #justdoit #motivation #abs #situps #legs #arms Couples try this challenge and tag us! And even when we are away on vacation, we find ways to incorporate bodyweight exercises into our day. This is to show you what’s possible when you know how to implement an effective bodyweight training system. Bodyweight workouts at home are just as effective as gym workouts for building muscle, burning fat and improving your fitness. The beauty about bodyweight exercises is that you can modify each exercise to your skill level. It does not matter if you are an absolute beginner, an intermediate, or an advanced athlete. There are numerous variations of each exercise that will provide you with a sufficient stimulus to improve your fitness. Here is an example of a push-up regression that you can perform if you can’t yet do a standard push-up. This isn’t the only one. There are a bunch more regressions you can do. If you find the exercises too easy, there are a bunch of ways to make them more challenging as well. Gyms like to show off all of their bells and whistles to convince you to join. This is to take your eye off the ball and distract you from what really matters. You can get just as good if not better results staying home and following a comprehensive home workout program. All you need is a little bit of space, a dedicated plan, and a desire to improve your body composition! If you don’t like going to the gym, you don’t have to. You have full access, 24/7/365 to your gym and to your weights. Now you can finally cancel that unused gym membership you have been holding on to for years! I am so happy that this is not true. So many people believe that more is always better. Believe it or not, you can get everything you need out of a workout in ~35 minutes. Working out at home is even faster, as a complete bodyweight workout program can be done in just 20-30 minutes a day. Plus, you don’t have to spend time commuting to and from the gym, waiting for equipment, signing in, and putting your stuff away at lockers. Any busy person knows that every minute of free time is precious. This is the strategy that most people take… and it is time-consuming. You can try to put the pieces together from various different magazines, videos, and online articles. But this would take months to figure out. You will have to figure out which are the best exercises for each body part, and how to scale them up or down to your fitness level. As I’m sure you’ve seen, fitness information you come across online is often conflicting, misleading, (and quite often) flat out wrong. I already did all of the hard work for you. Most people will just buy and hold on to a gym membership so that they don’t feel guilty. It’s one thing if you go consistently and follow a dedicated program, but 67% of you won’t. That $50-150 a month will just continue to seep out of your bank account and do absolutely nothing for your fitness. Why spend this money if you can just stay home and get 10x the results you would get if you followed a step-by-step program consistently? You came to this page because you’re serious about your fitness. That is why I’m going to show you how to take the advice you learned today, and turn it into a step-by-step blueprint for building muscle, increasing your strength and improving your fitness. I’ve developed a home workout program for busy individuals that you can do using just your bodyweight and a couple of other handy tools. The best part? You never have to leave your house and it can be done in as little as 20-30 minutes a day. 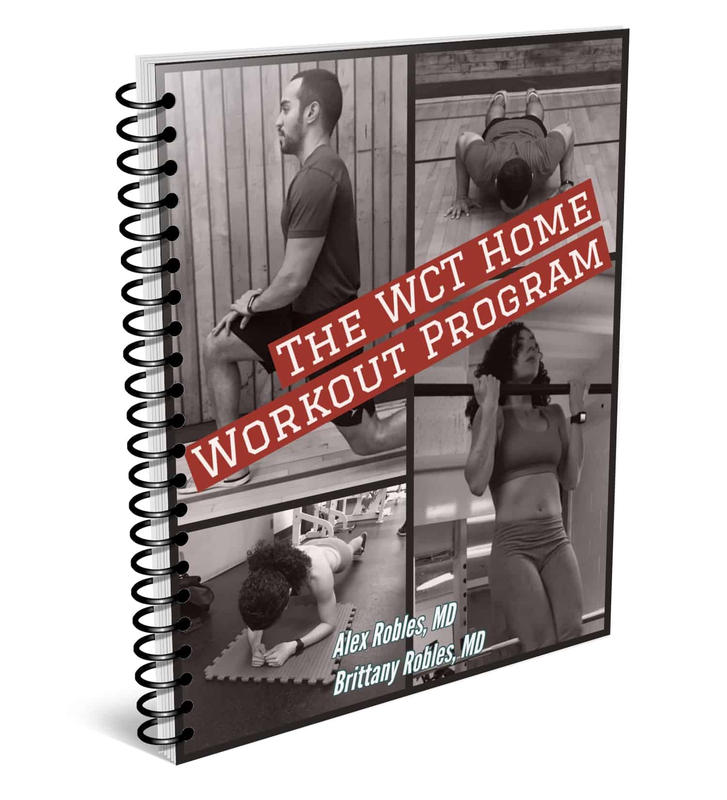 The WCT Home Workout Program is a comprehensive workout template that is designed to maximize your fitness while minimizing the obstacles that prevent you from exercising. When you purchase this program, you will get instant access to a 100+ page PDF that breaks down all of the best bodyweight exercises that you can do from home complete with descriptions, and numerous variations. You will also have access to the WCT Home Workout Program Template that breaks down how to train each body part, and how to progress each exercise to maximize your fitness. Is The WCT Home Workout Program Right For Me? Do you work 60-100 hours a week, feel out of shape, and you don’t have any interest in going to the gym? Then The WCT Home Workout Program is PERFECT for you. Are you tired of dealing with expensive, overcrowded and disorganized gyms? Then The WCT Home Workout Program is PERFECT for you. Do you want to workout but you don’t want to leave the comfort of your own home? Then The WCT Home Workout Program is PERFECT for you. Are you tired of letting your busy life ruin your health and fitness? Then The WCT Home Workout Program is PERFECT for you. If you said “yes” to any of these questions, keep reading so you can learn exactly what you’ll get from your investment in The WCT Home Workout Program. What’s In The WCT Home Workout Program? 9 Exercise Categories to target every major muscle group in your body. This includes exercises to develop your arms, your shoulders, your chest, your back, your glutes, your quadriceps, your hamstrings, and your core! In addition, the program teaches you how to scale the exercises to make them easier or more challenging. 4 different levels for each exercise that ranges from easiest to hardest variations, so that you can challenge yourself regardless of your skill level. A regression and progression for each exercise so that you can continue to fine tune your strength and coordination. 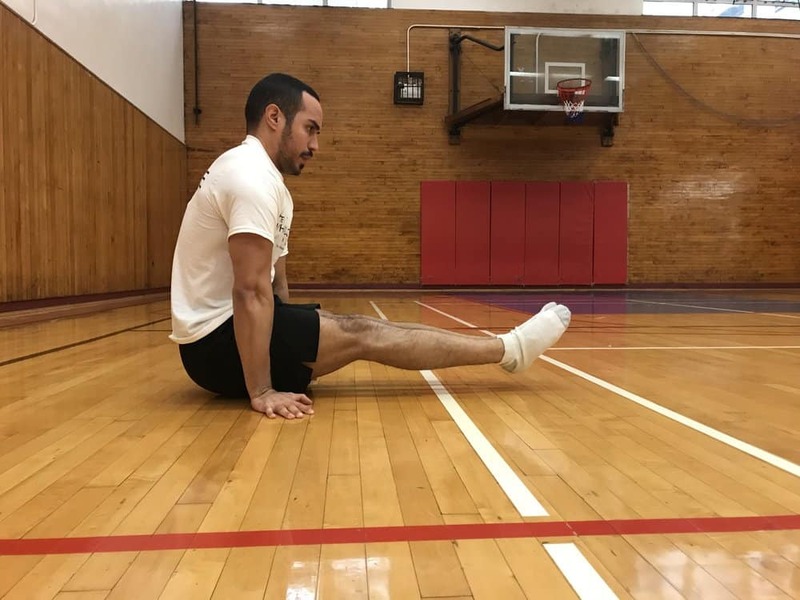 3 Technical Cues for each exercise to ensure you are doing them correctly and maximizing the benefits each movement has to offer. 1) How Is This Workout Program Different Than Others? There is a lot of fluff on the internet. I have combed through several home exercise programs that focus on mediocre exercises and provide suboptimal workout regimens. Some programs don’t even teach you how to progressively overload the exercises as you become stronger. The WCT Home Workout Program focuses on the best exercises to train all 6 functional movement patterns as efficiently as possible. The goal is to maximize your workout and minimize time wasted. 2) What If I Don’t Know How To Exercise? This program is great for beginners too. All exercises begin at Level 1, which is the most basic variation of all of the movements. That way, you start at a difficulty level that is appropriate for you. In addition, every exercise has repetition goals that are provided to ensure that you progress at an appropriate rate. Lastly, we boil down the 3 most important technical cues you must follow to boost the benefits you will receive from each exercise. 3) I See Pull-Ups Are Included. I Thought I Only Needed My Body? There are very few things you need to do a complete home workout. A pull-up bar is a very small, one-time investment that can pay huge dividends moving forward. It is a tiny commitment compared to the money you may be wasting on a gym membership that goes unused. It is also a good idea to obtain a couple of resistance bands as they can help augment your workouts even further. Complainers who state that they don’t have time for fitness, but have time to watch The Walking Dead, Game of Thrones and The Bachelor. I know you may think that you can figure out how to exercise at home and improve your fitness on your own. And hey, maybe you can. The problem is: If you aren’t following a dedicated program that is meant to boost your fitness, then you are wasting a lot of time. Time that you could spend actually working out and improving your fitness by following a step-by-step template. And if you are okay with keeping your unused gym membership, then, by all means, keep doing it. But if you’re serious about your health and fitness, it’s time to make the investment. You don’t even have to leave your house to do it! **Hospital Employees Get A Discount. Let 2019 be the year where you reclaim your body!